Buying a crossover doesn’t mean it has to be boring. 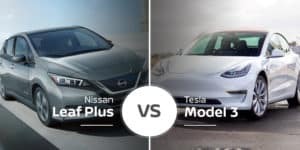 The 2019 Nissan Kicks and 2019 Toyota C-HR are proof of that with their wild, eye-grabbing designs. Which of these standout subcompact crossovers is best for our Bradenton area car buyers? Continue reading to find out. In just its second year, the 2019 Nissan Kicks remains one of the freshest models in the subcompact crossover segment. The Kicks took over for the wildly styled Nissan Juke, so it’s understandable this crossover has such a jarring design. 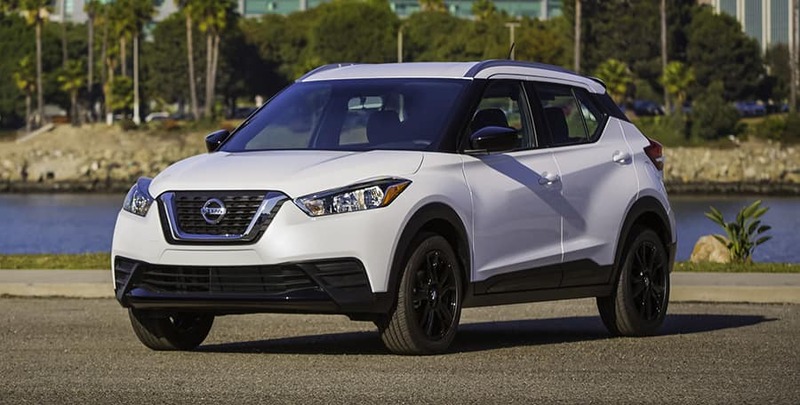 The 2019 Kicks is not as polarizing as the Juke, but it will draw in plenty of looks with its stubby nose, forward-leaning rear hatch, floating roof, sharp body lines, black body cladding, and Nissan’s signature boomerang-like lighting. Speaking of aggressive styling, the Toyota C-HR is just as wild — maybe even more — as the 2019 Nissan Kicks. Unlike the Kicks, though, the C-HR boasts a sportier appearance with its massive wheels, coupe-like rear glass, hidden-handle rear doors, and lower ride height. This look plays right into the hands of young buyers. 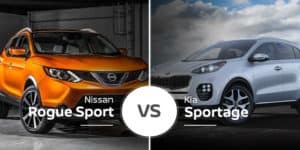 Those looking for even more exterior styling will find it in the 2019 Nissan Kicks and 2019 Toyota C-HR, as both have plenty of stylish options to draw in buyers. The Kicks has available LED lighting, 17-inch alloy wheels, dark-chrome accents, and more. 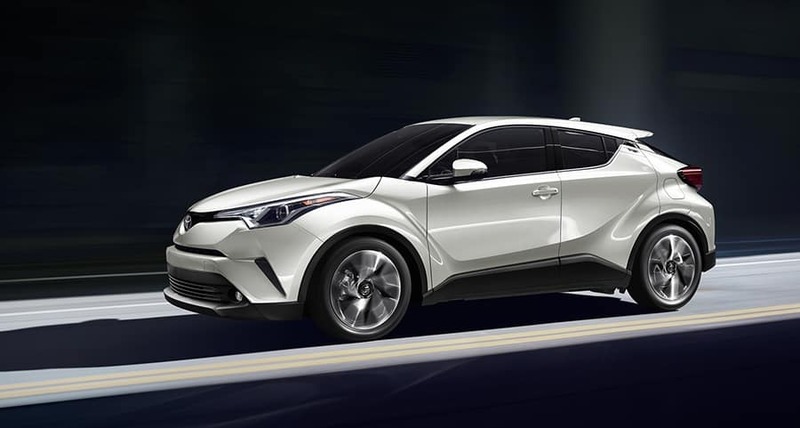 The 2019 Toyota C-HR, on the other hand, features available 18-inch wheels, stunning paint options, piano-black accents and more to spruce it up. In terms of size, the 2019 Nissan Kicks is smaller than the C-HR in every key measurable except height and ground clearance. The wild styling of the Nissan Kicks’ exterior does not translate into the cabin, but it has a few doses of sportiness. These include its flat-bottom steering wheel, bolstered seats, circular air vents, and available contrast stitching. Inside, the 2019 Toyota C-HR brings a lot of its exterior character. It features, loads of triangular Easter eggs on the headliner and door panels, a colored accent strip on the dash, bolstered seats, a stubby gear shifter, and more. This all adds up to a crossover that caters to young buyers inside and out. Both crossovers feature plenty of tech to fit younger buyers’ desires. 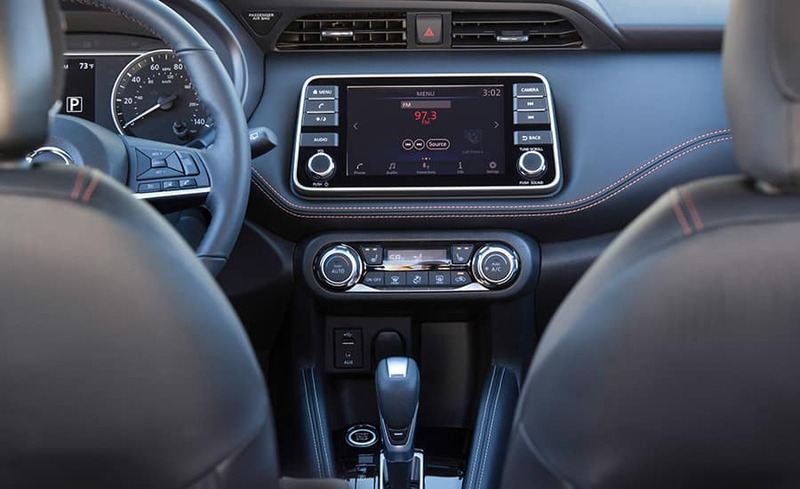 Standard features in the Kicks include a 7-inch touchscreen, Siri Eyes Free, Bluetooth audio streaming, a six-speaker audio system, and USB ports. 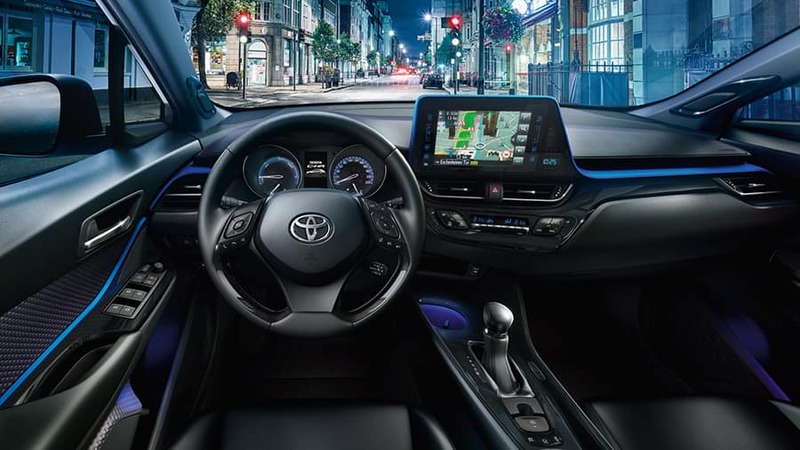 The 2019 Toyota C-HR matches the Kicks’ standard features and beats it with its standard Apple CarPlay and 8-inch touchscreen. The Kicks comes back in the option department with available Android Auto, which the C-HR lacks. Though it’s smaller than the C-HR, the 2019 Nissan Kicks is roomier in nearly every key interior measurable. The only area the C-HR musters up a win is front hip room, which is 2.1 inches wider than in the Kicks. Small crossovers are not known as performance vehicles, and the Nissan Kicks and Toyota C-HR are exactly that. The 2019 Nissan Kicks comes standard with a 122-horsepower 1.6-liter engine that sprints it to 60 mph in an estimated 9.7 seconds. 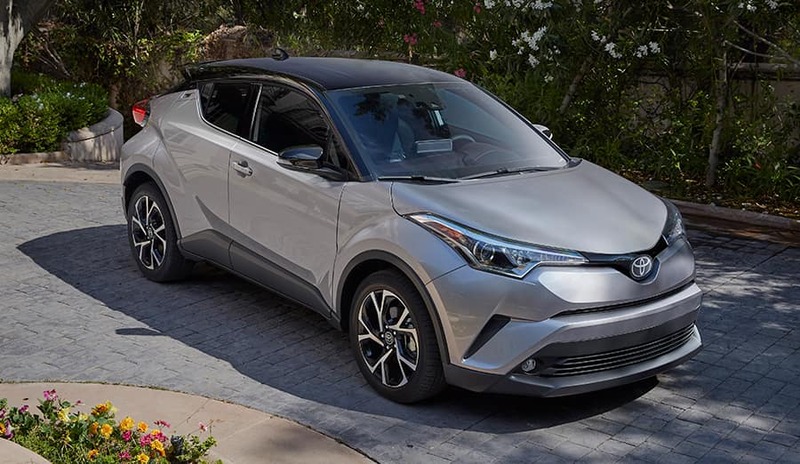 The 2019 Toyota C-HR is more powerful at 144 horsepower, but it is 1.4 seconds slower to 60 mph due to its higher curb weight. 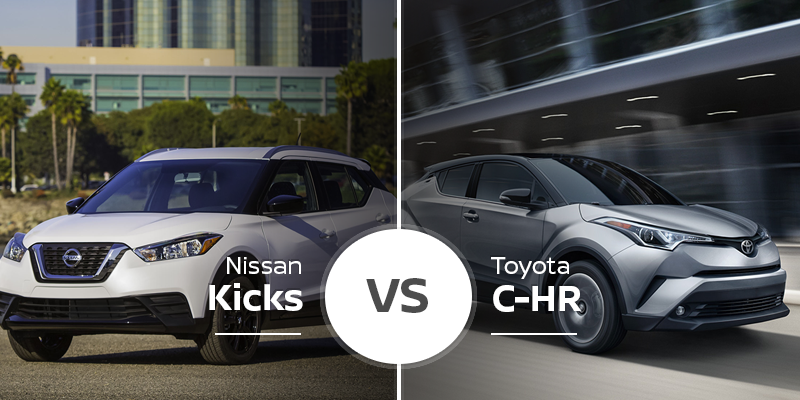 The Kicks also delivers up to 5 mpg more than the C-HR, making it the go-to option for commuters looking to save cash. The 2019 Nissan Kicks has a simple lineup of three trim levels — S, SV, and SR — and their starting prices range from $18,540 to $20,870**. There are three trims in the 2019 Toyota C-HR lineup too: LE, XLE, and Limited. Their starting prices range from $20,995 to $26,050. 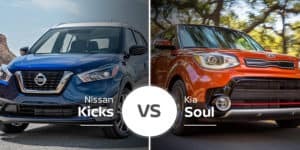 Who Should Buy the 2019 Nissan Kicks? Want a crossover that’ll grab eyeballs, but still looks like a crossover? The 2019 Nissan Kicks is the perfect subcompact crossover for you. It may boast a wild style, but it still looks the part of a people hauler. Plus, its roomier cabin can tote those people and cargo around with ease. Who Should Buy the 2019 Toyota C-HR? Does form mean more than function to you? If so, the stylish and sporty 2019 Toyota C-HR is the crossover for you. Its body looks like no other subcompact crossover on the market and even makes the Kicks look somewhat traditional. Whether you zoom to Bradenton for work every day or just tinker around in Sarasota on the weekends, the 2019 Nissan Kicks will do it in style and with supreme efficiency. 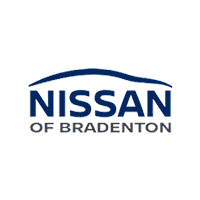 Stop by Nissan of Bradenton serving the St. Petersburg area today to test drive the 2019 Kicks. Can’t make it to our Bradenton area showroom today? Check out our online inventory to see what 2019 Kicks models we have in stock and set up a test drive for later. *2019 EPA Fuel Economy Estimates. Actual Mileage may vary with driving conditions – use for comparison only. **Price is Manufacturer’s Suggested Retail Price (MSRP). MSRP excludes tax, title, license, options and destination charge. Dealer sets actual price.